Manchester United striker Wayne Rooney ended an 11-year wait for a goal at Anfield on Sunday to give his side the lead with just over 10 minutes remaining. Quick thinking from the visitors saw them take a corner with Liverpool off-guard, and after Marouane Fellaini saw his header crash off the crossbar, the ball landed at Rooney’s feet before the England captain smashed home the first goal of the game. Both sides had struggled up to that point to find a breakthrough, with neither team showing any composure or a clinical edge in the final third. 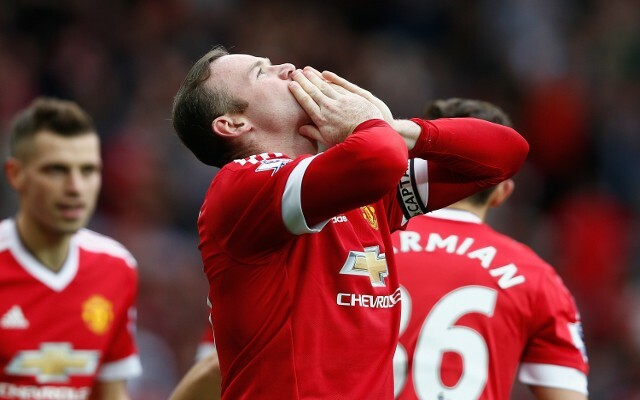 However, Rooney continued his recent good form with his fourth goal in his last three games as United continue to show signs of improvement under Louis van Gaal. The Dutch tactician had come under significant pressure after a disastrous December, but his side have shown more of a threat up front and more attacking intent to silence their critics to an extent. Whether or not that continues remains to be seen, but the Red Devils will certainly hope that they are able to hold on for all three points on Sunday. Prior to kick off, United sat 10 points adrift of Premier League leaders Leicester City, while they will close the gap to fourth-placed Tottenham to two points with a victory.